Vodafone Fijian 7s head coach Gareth Baber was gracious in defeat after their 29-5 loss to South Africa in the Wellington 7s Cup final last night. “It’s tough but we’ve areas to work on and to keep on progressing,” he said after the final. Despite the loss the Osea Kolinisau captained-side have moved to second place in the 2016/17 World Sevens Series points table with 51 points while South Africa have extended their lead to 63. England are in third spot with 49 followed by Scotland’s 44. Despite falling behind 5-0 after winger Joeli Lutumailagi showed his sheer pace by skinning Seabelo Senatla on the outside, South Africa hit back with four tries, including one to the prolific Senatla, super sub Rosco Speckman while Ruan Nel sealed the result with a brace. The Blitzbokke last won in Wellington in 2002. South African 7s captain Philip Snyman said the win was extra sweet for them after they sacrificed their Christmas holidays. “Our game plan was to stand in the face of the Fijians when it comes to defending,” he said. 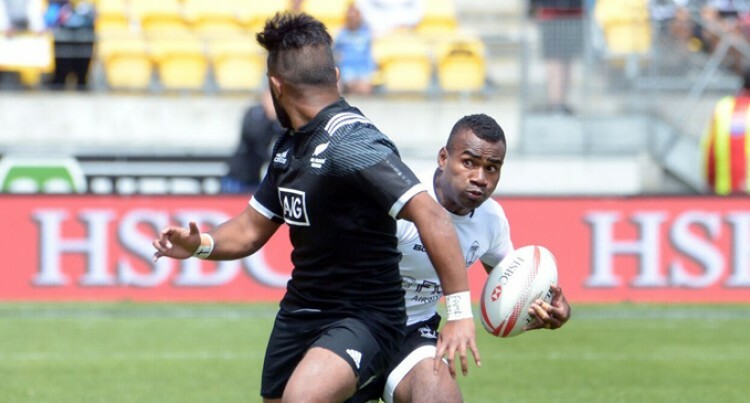 The Vodafone Fijian 7s team are drawn in a tough pool for this weekend’s Sydney 7s tournament. After the Cup final last night, it was confirmed that Fiji are the top seed for Pool B along with France, Wales and Samoa. South Africa top Pool A with England, Kenya and Japan. Host Australia are in Pool C where they take on Scotland, New Zealand and Papua New Guinea. Canada lead Pool D as they are billed against Argentina, USA and Russia. Cup semis- Scotland 12- 19 Fiji, Canada 5-21 South Africa.